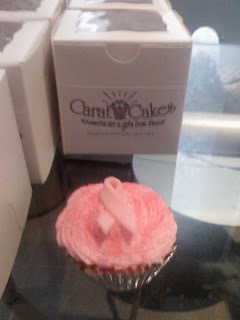 Cupcakes made for the Think Pink Spring Fling- a fundraiser to benefit the Avon Walk for Breast Cancer. 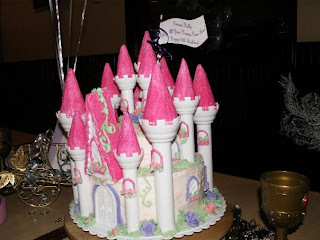 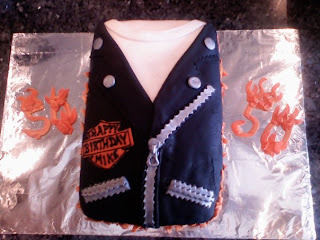 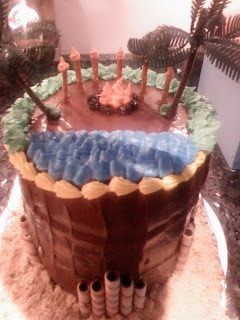 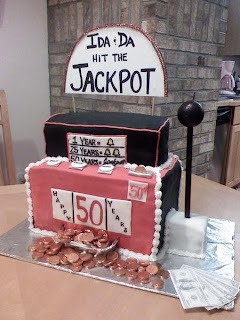 This cake was 2 double tiers with strawberry filling made for a 40th Birthday Party...can you guess the theme? 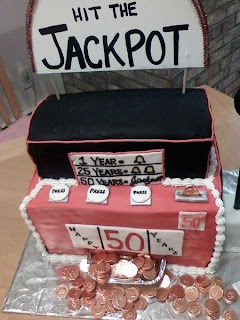 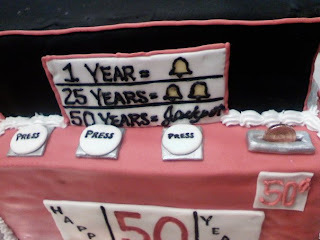 This is a 3D slot machine cake made with fondant and buttercream. 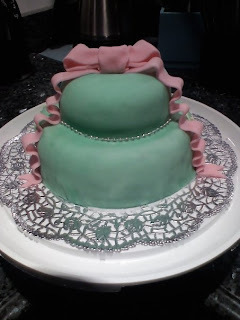 It the bottom part is made up of 5 layers and the smaller top part is made up of two. 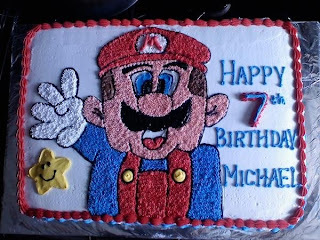 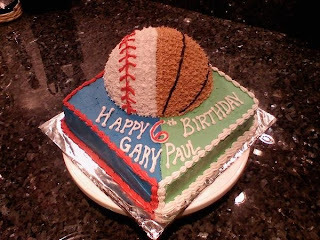 A 6th Birthday cake for a little guy who couldn't decide whether or not he likes baseball or basketball better! 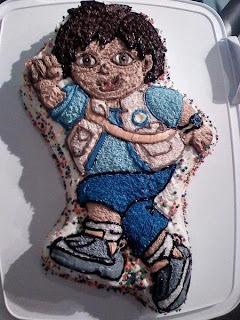 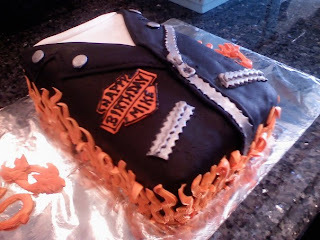 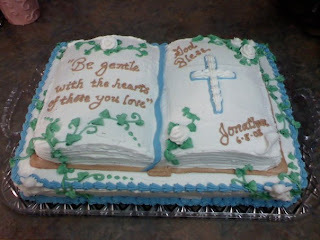 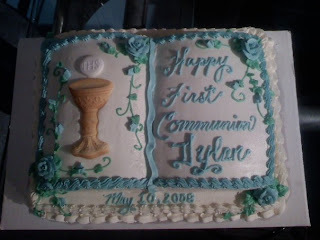 This cake was made for a baptism. 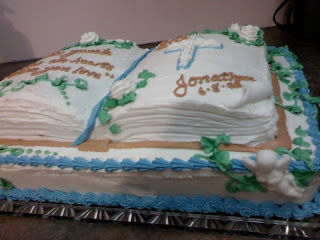 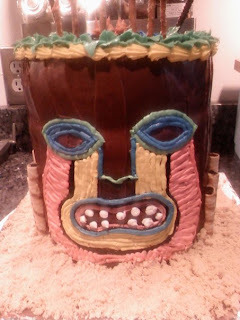 It is a bible on top of a 1/2 sheet cake. 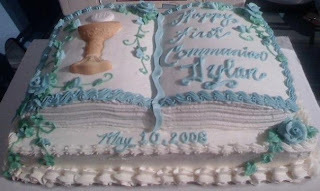 This is a 10-inch chocolate cake filled with raspberry and coated with buttercream. 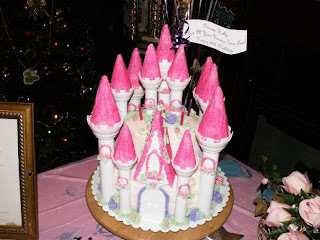 It was made for a baby shower for twin girls.